It is getting close to that time of year again! Time to think about HUNTING! And of course, that begs the question – where are you going to hunt this year? Do you need to update where you will base your week (or 2 or 3) of hunting from? 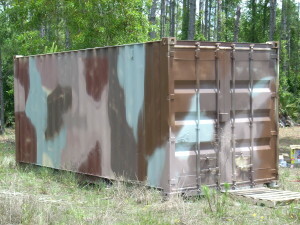 Check out these previous posts we have on hunting container cabins. We can modify your container into a cabin and we have kits if you prefer to do it yourself. On or off the grid, hunting container cabins are an easy way to have a dry spot in the woods.